Jo darr gaya, samjho voh mar gaya! ~ Gabbar’s enlightening words may have had a lasting impact on hard-core movie goers but it continues to have some pretty far-reaching influence well outside the Bollywood domain. One such unlikely sphere includes the young women and men who decide to appear, in the hopes of qualifying, one of the hardest exams in the country – the UPSC Civil Services Examination (CSE). Why? ‘Coz they are aware of the handful number who actually end up clearing the CSE and the even smaller pinch sized number that make the merit list to be selected into the top CSE contenders – the IAS, IPS and IFS services – from the lakhs who appear for the yearlong examination. And yet, there is no place for any fear and intimidation. The only possible way, they know, to have a success shot at clearing the CSE is giving it a wholehearted preparation attempt. In this article, we will discuss some of the essential recipes that have worked in favour of previous successful candidates and the best preparation material and books they used. Every candidate, as you might obviously have guessed, has a unique preparatory style. What may be good for one may fail miserably for another. However, knowing that one has to at least begin with a formulaic baseline, here are some tips to help you get started to develop your own fashion of studying for the exam. Given the general substance of the syllabus, there could be hundreds, if not thousands, of books that could be potentially claimed as preparatory material. However, this could lead to a dangerous consequence of too many books and too little time. It is best to follow some of the known study materials and brush up on your high school texts, and follow daily current affairs in India and the world in daily newspapers. It is essential to keep a regular reading, and writing habit. It develops a focused effort towards training your brain to understand and analyze information. Here are some known books recommended by previous toppers and other sources. One of the biggest roadblocks for the CSE is the time management. The exam is conducted over three stages – the Preliminary, Main and the Interview. Each has a pretty large syllabus and the exam extends over a year. Most aspirants are full-time students or office-goers who have to schedule their preparation within the time they can manage outside of their regular routine. Being serious about the exam requires a steady focus, and thus a separate time-table to ensure a consistent approach towards assimilating the vast amount of information for the exam. This time management is only possible if the candidates are able to set up a schedule and fix deadlines for when they intend to cover the various portions of the syllabus. For instance, studying and making notes for at least a few hours every day for 10 days to cover the basic concepts of Geography. The process and the individual timelines may vary but working out the strategy for time management is essential to everyone. Last minute cramming has hardly, or rather rarely, worked for most CSE candidates. It is also important to realize that a lot of the time to study will actually involve revisiting concepts you have already studied. So, set aside time for regular revisions and workout your brain regularly. The UPSC website clearly states the intention of their test. It is to find individuals who need not have a specialized in-depth understanding of the topics but rather a comprehensive awareness of the history, culture, geography, and other functional aspects of India and a bit of the world. Questions may get specialized in the Optional Subject papers, but only as much as somewhat more than an undergraduate level, ie at an Honor’s level. In the case of Engineering, Medicine, and Law, an undergraduate understanding is sufficient. Familiarize yourself with the extent of the syllabus, so you can start structuring your study plan accordingly. 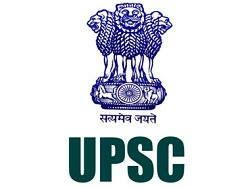 The syllabus, for each section, is detailed on the UPSC website. The volume of information, towards an exhaustive preparation, may seem intimidating. Therefore, it is easier to structure the study plan concentrating on building on the basic concepts, usually from the recommended NCERT books. Some topics may require a follow up with more specialized books. Read our article on How to prepare for an IAS Exam to take a look at the books previous competitors have referred to. It is a good idea to find multiple source materials, while not overwhelming your schedule with too many books. Candidates often even refer to online material for information. The secret, as many veterans have mentioned before, is to comfortably understand the basic concepts without taking the aid of rote learning schemes. ‘Coz memorizing may land you in trouble by virtue of the vastness of the syllabus. It is essential to keep up a regular habit of writing, reading, analysing, and examining, a content. Many successful candidates have stressed on the importance of having regular discussions and debates with their friends and colleagues, on topics associated with the syllabus and current affairs. It provides an excellent practice for logically presenting your views while also helping you to understand the depth of your insights. There are many free mock tests available online to examine your preparation in a timed fashion. These can help in getting all your gears in action as required on the day of the exam. The UPSC website has a storage bank for previous year question papers here. Although the exam coordinators are known to almost never repeat questions from previous years, the previous question papers do provide a glimpse of the type of questions preferred by them. You can judge the difficulty level, relevance to the prescribed syllabus, depth of required understanding, analytical and logical complexity, and scoring, by revising your performance on questions that have been asked before. The length and breadth of the CSE exam requires regular revisits to the study material. Your preparation schedule should cover the time needed to revise the read topics multiple times. It is often useful to highlight important passages, or make notes, for a quick look close to the exam date. Make sure you have such a provision for the sake of efficiency. A lot of questions are associated with the candidate’s general awareness of topical affairs in the world, with emphasis on the happenings in India. Get in the habit of reading a multitude of daily newspapers to stay abreast of current topics. Various sources recommend The Hindu, Economist, The Indian Express, All India Radio News, Parliamentary discussions, regional language newspapers, and magazines like Yojana, India and Manorama Year Books. Finally, set aside time to look up from your books and interact with other people. The CSE exams are taxing on not just the candidate but also the people around them. It is important to not ignore your communication skills and your general emotional well-being. Eat and sleep well, engage yourself in other activities, and don’t let the weight of the exam stress you out. The UPSC CSE exam is designed so that a candidate’s efforts, dedication, strategizing, planning, logic, analytical powers, and overall quick thinking, are rewarded. In that sense, every candidate’s life experiences also play a role in their preparation. How else would you explain a syllabus that essentially tests the ability to absorb the political, cultural, historical, and geographical, environment that one lives in? The actual CSE preparation then simply boils down to polishing on the knowledge that you would have anyway imbibed as a student and a citizen of the country. So, don’t dwell on the vastness of the syllabus but rather concentrate on how to get to know your world a little better. Meanwhile, here are some useful links.